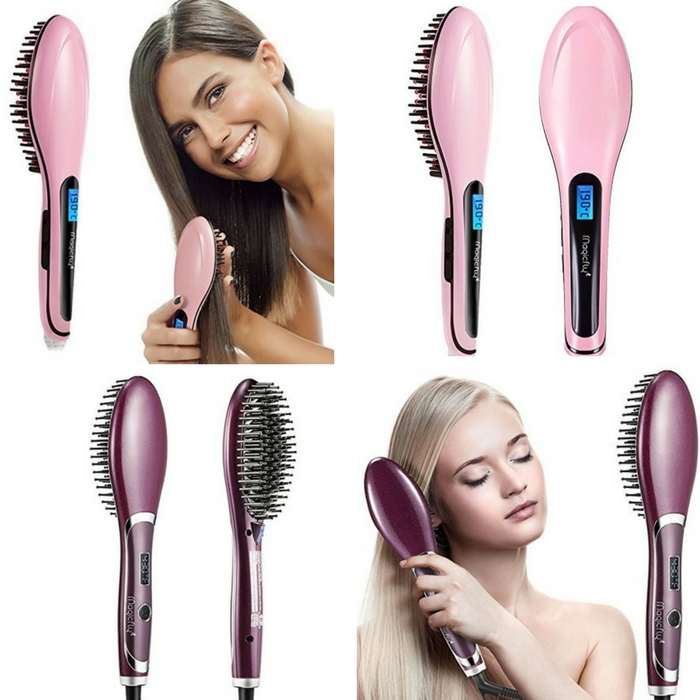 Magicfly Hair Straightening Brush Just $16.39! Down From $80! You are here: Home / Great Deals / Amazon Deals / Magicfly Hair Straightening Brush Just $16.39! Down From $80! Girls, you’ll surely won’t miss this great deal at Amazon! Score Magicfly Hair Strengthening Brush for just $16.39 down from $79.99 when you enter promo code FPX576W7 at checkout! Go ahead and get yours now! This Fast Hair Straightener is a Combination Of Ceramic Iron Straightener + Detangling Brush + Anion Hair Massager. It’s Design for Reaching an Ideal in Seconds.Just few seconds, It’ll Make You a Beautiful Hair and a Health Care Massage for Your Head. This Hair Straightener Is Of Dual Voltage:110V-230V. 360 degree rotatable wire — It avoids the wire twining, Brushing action reduces risk of dry damaged hair unlike traditional hair straighteners. Easily Solve Hair Knotting, Reduce Pain and Hair Broken, Repair the Hair Quality of Harm. Head Massage Make Hair Follicle of Scalp More Healthful and Elasticity With Hair. Here’s another deal you can get at Amazon! Magicfly Double Anion Hair Care Brush is now on sale for just $22.90 down from $79.99 when you enter promo code RIG8JFES at checkout! It’s FREE shipping for orders over $35!